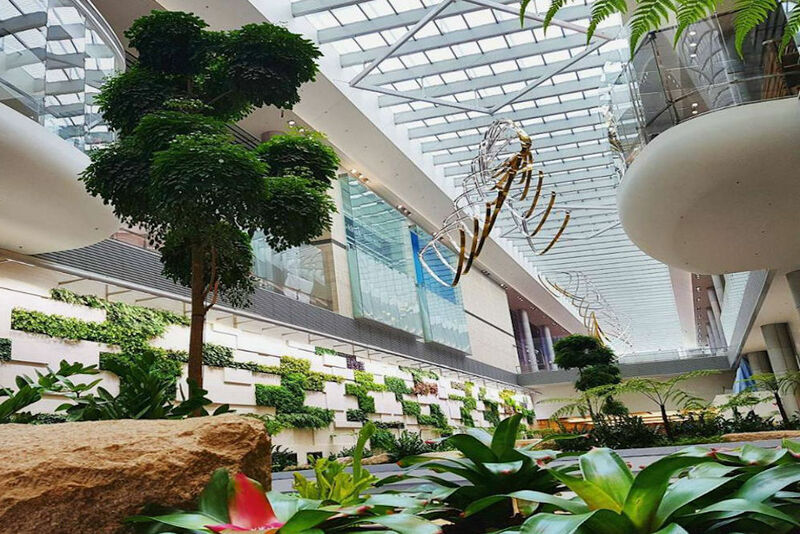 The new terminal in Changi Airport, one of the busiest airports in the world, is an ecotopia of self-service and green design. Terminal 4 has been in development for five years, with a cost of $725 million USD and it’s the size of twenty-seven football fields. It also boasts a “contact-less design” where immigration intake is done by facial recognition and check-in, including baggage, is all automated. There is one major feature of the new terminal aside from its state of the art design. It’s the plants as in its own “Avenue of the Trees”, lined with fig trees from China. 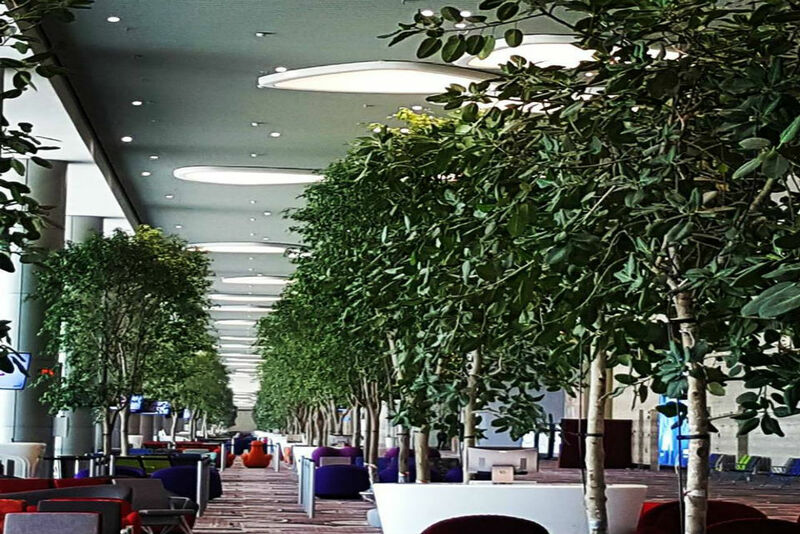 There are 340 different species of plants and trees in the terminal. Design elements and sculptures are also inspired by the beauty of plants. The best is yet to come. In 2019, 140,000 square foot rainforest garden will be installed at the top level of the terminal, a canopy of 2,500 trees and 100,000 shrubs from all over the world. It will be called the Jewel and also have waterfalls and walkways rising twenty-five meters off the ground.